Whew, QuiltCon is over. I definitely spent the first day in a haze and the rest of the time in a whirlwind. I'm not really sure what I said and who I talked to the first two or so hours of the show. The first event on my schedule was the reward ceremony where it was announced that my quilt Urban Trek won a FIRST PLACE ribbon in the Use of Negative Space category. 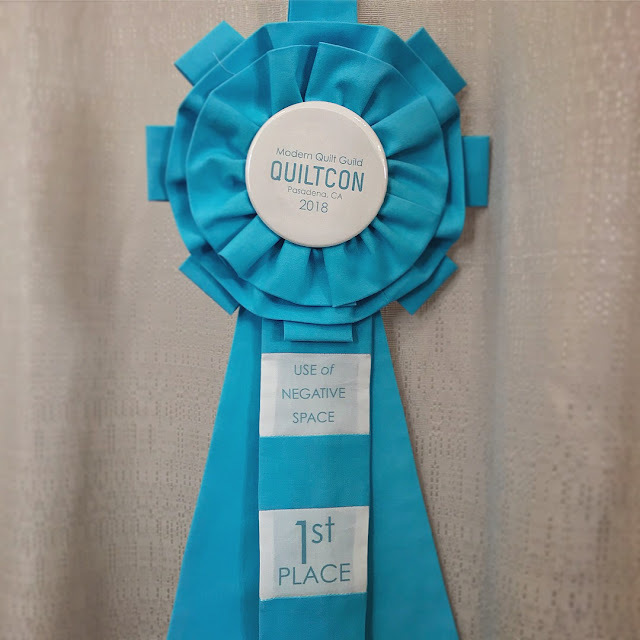 Check out all the winners on the QuiltCon website. I enter every show with my fingers crossed that I might win a ribbon but I never allow myself to get my hopes up, this is especially true of QuiltCon. For the past three years I've had quilts at QuiltCon and each year I see all the amazing talent out there submitting beautiful quilts and think there's just no way a ribbon is in my future. This year I was mistaken. 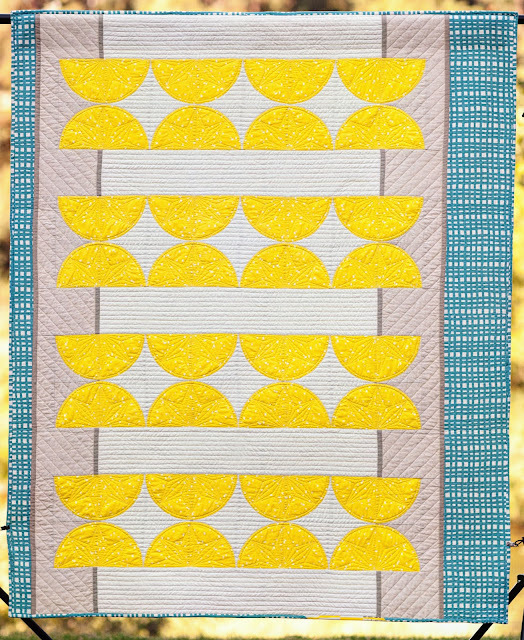 Eight months ago, yes EIGHT, I found out that my quilt, Positive Illuminations, was accepted as February's Modern Quilt Guild Quilt of the Month!! 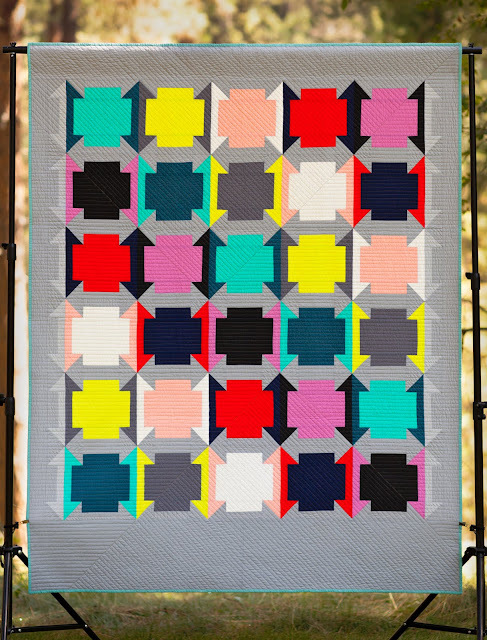 I was asked to share with as few people as possible that my quilt would be a Quilt of the Month in 2018 which lead to some pretty interesting conversations from time to time. I'd like to point out that I never actually lied to anyone about whether I had a quilt accepted but would usually deflect answering directly by talking about the submission process or my two quilts I did not have accepted for 2016 and 2017.